Tickets are R40 per adult and R10 for children. They are available at Computicket or at the gate. 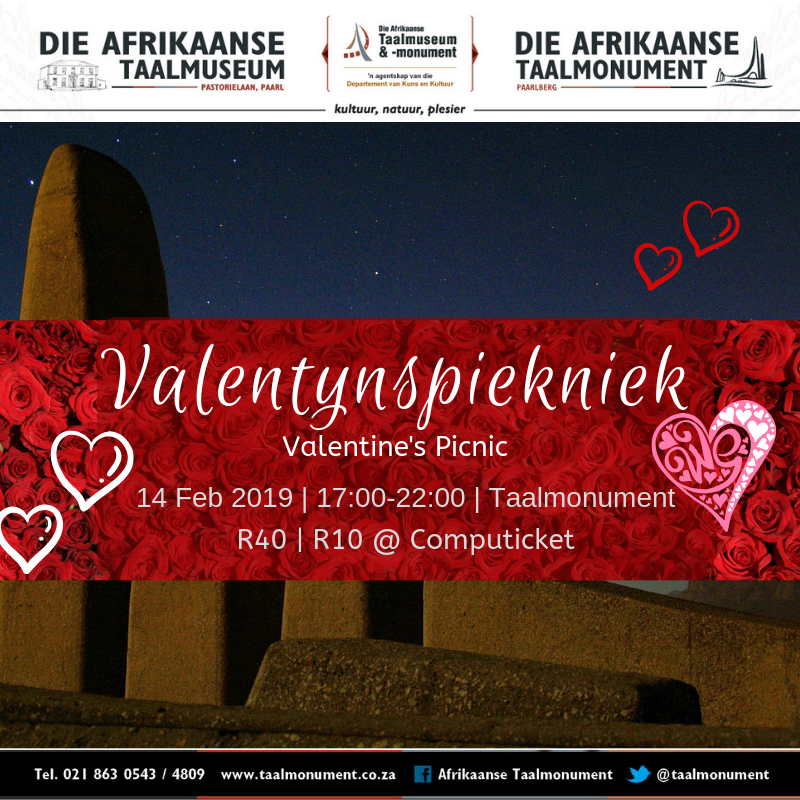 For more information about all the other exciting events at the Taalmonument, call 021 863 0543/4809, visit www.taalmonument.co.za or follow them on Facebook, Twitter and Instagram.